When my mom was here a couple months ago, we got quite ambitious with dinner one night. 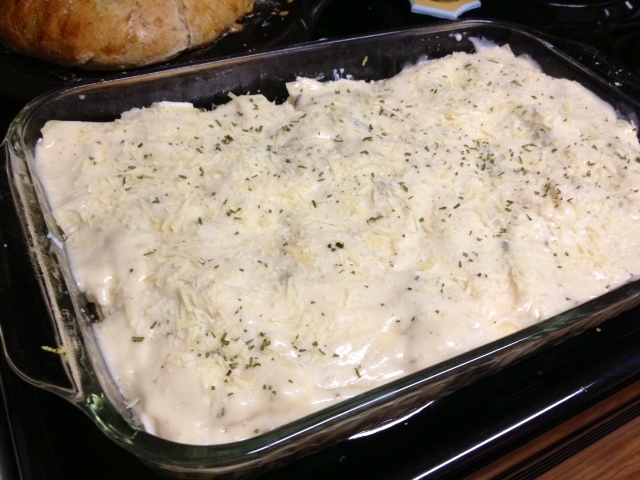 We started with this rosemary chicken lasagna, which I’d been wanting to make for forever, and finished with white chocolate lemon lava cakes. And despite the work, we weren’t sorry—we WERE stuffed! 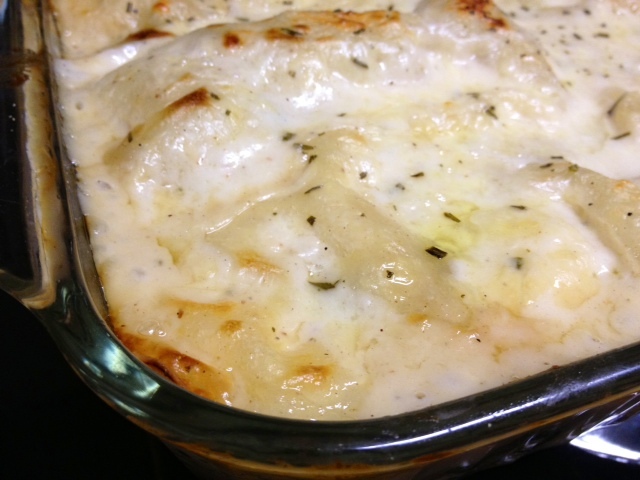 The flavor on this lasagna was so interesting! 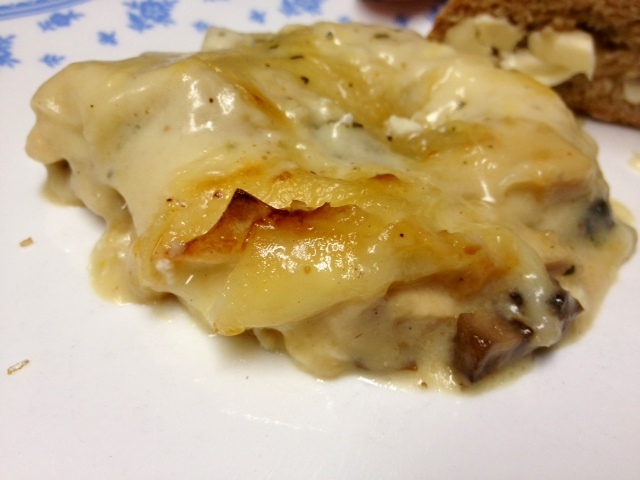 The rosemary added a nice depth to the bechamel, the chicken and mushrooms provide good protein, and the lemon zest was such a lovely counterpoint to the richness of the cheese and sauce. It was nice to have the second set of hands when assembling everything and making the bechamel, but it’s a fairly easy recipe—just make sure to give yourself enough time so you’re not frantic trying to put it together. For me, being frantic takes the fun out of cooking. 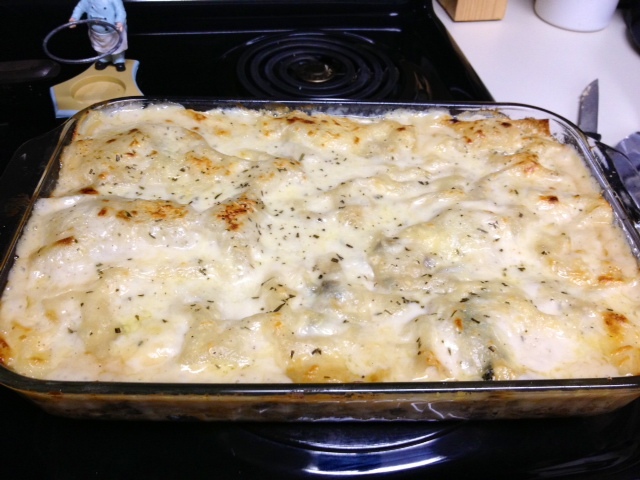 This is definitely the most interesting chicken lasagna recipe I’ve seen, and I will definitely be making it again! Preheat oven to 400 F. Cut chicken into 1/2-inch, bite-size pieces. Season with two generous pinches of kosher salt and cracked pepper. 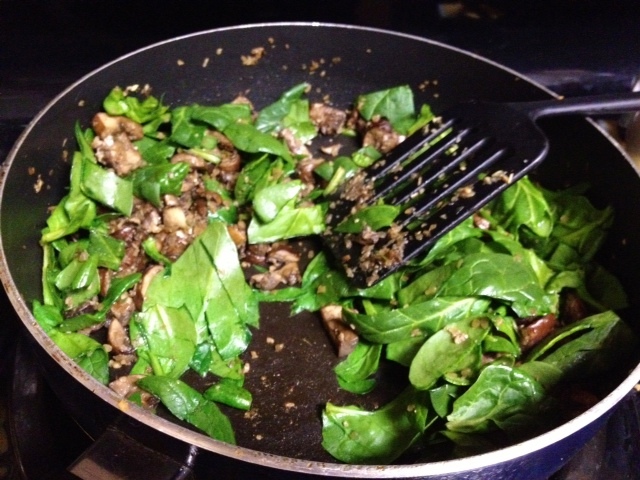 Saute in a skillet, on medium heat, with 1-2 tablespoons of oil until golden brown and cooked through. 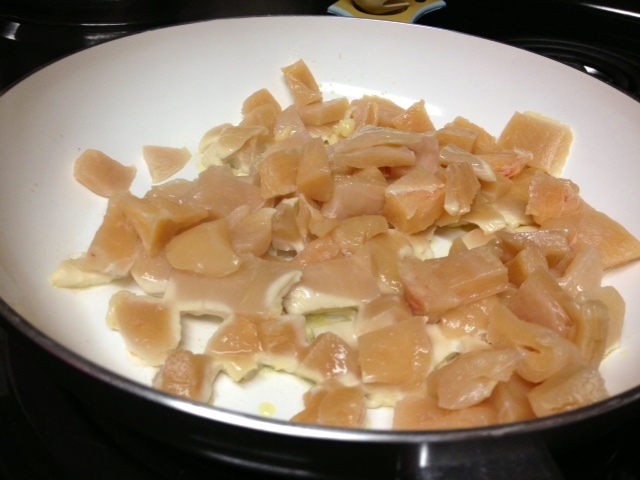 Place cooked chicken in a bowl and set aside. 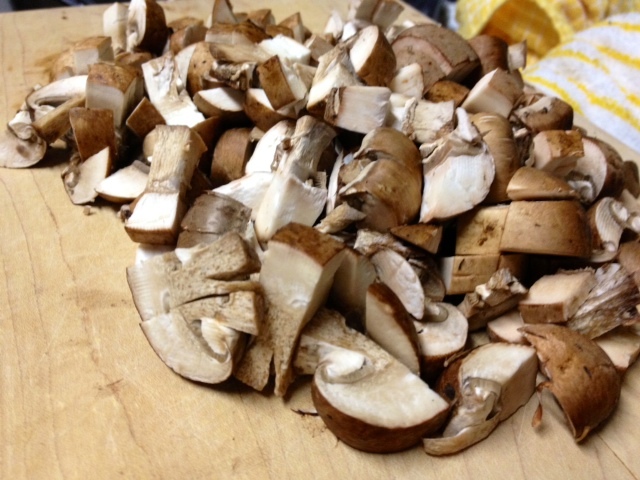 Chop up your pretty mushrooms! Heat oil and saute the diced onion until tender, on medium heat (about 6 on my stove), about 5 minutes (you may need to add a little more oil). I was super lame and forgot to buy the onion, so I just used dried minced onion. We lived. Add the garlic and lower heat to medium (more like a 4-5 on my stove) and saute 2 minutes. My mom brought this rosemary from her garden in Kansas (complete with Kansas dirt!). 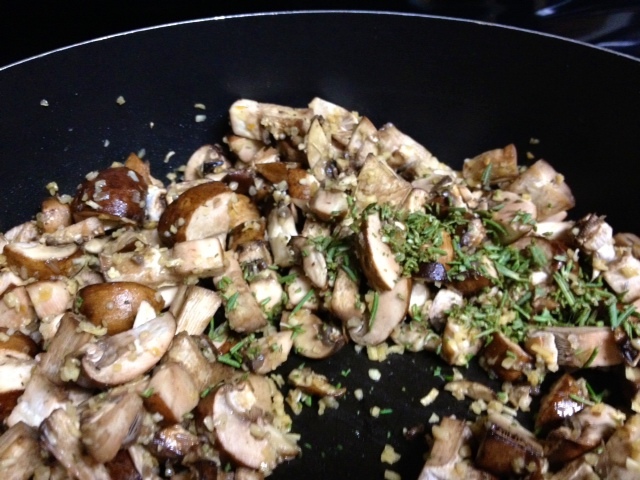 Add the the chopped rosemary, mushrooms, and 1/2 teaspoon of kosher salt to the garlic and onion. Lower the heat even further (I’d say have it at about a 3-4) and saute until the mushrooms release liquid and are tender, about 10 minutes. 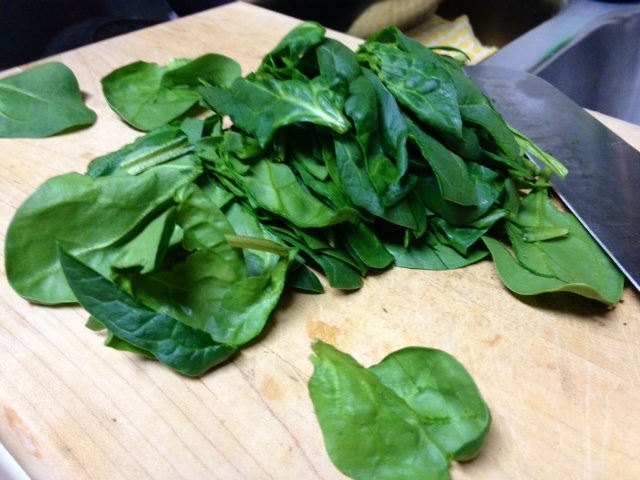 Finally, add the chopped spinach, stir until wilted. Add the chicken back in and set this mixture aside. This baby’s done for now. At this point you’ll want to do a little more prep, because once the bechamel gets going you won’t get another chance. 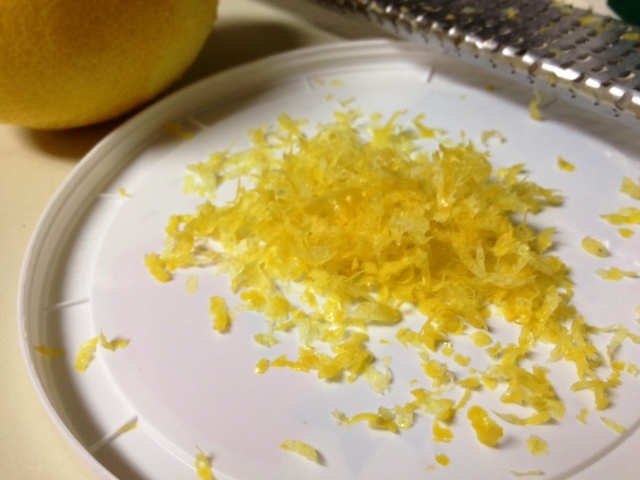 Go ahead and zest the lemon, open up the ricotta, and cut the mozzarella into 1/2-inch pieces. Next we make the bechamel. 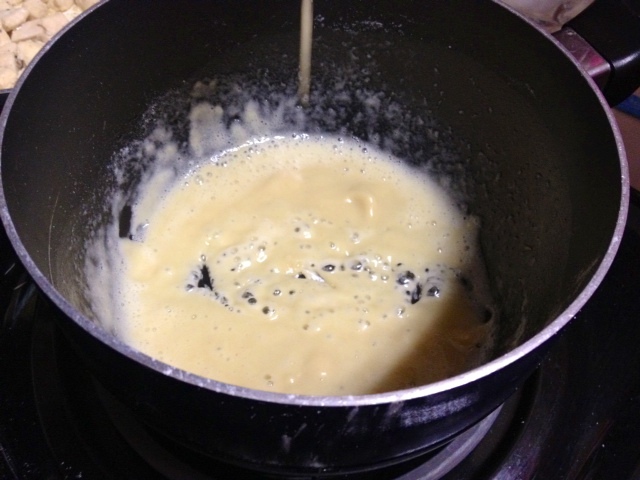 In a small saucepan, melt the butter on medium-low heat. If the heat’s too high, you’ll end up scalding everything. Once it’s been melted and bubbly for a minute or so, add the flour and stir for a few minutes on medium heat until the mixture is golden and bubbly. Whisk in a cup of the hot milk at a time. Add the rosemary and bring the mixture to a gentle boil. Make sure you don’t leave it unattended, and stir constantly. Add 4 ounces of the mozzarella and stir until melted and thickened. Finally, whisk in the salt, nutmeg, and white pepper. Simmer for a few minutes, then set aside. Now we assemble. 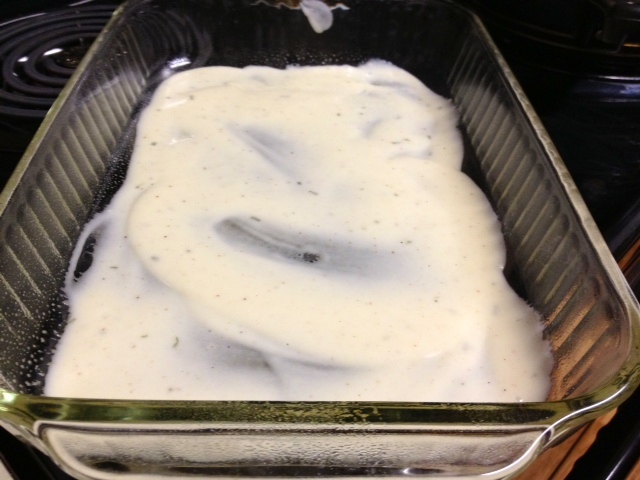 Butter or grease a 9×13 pan. 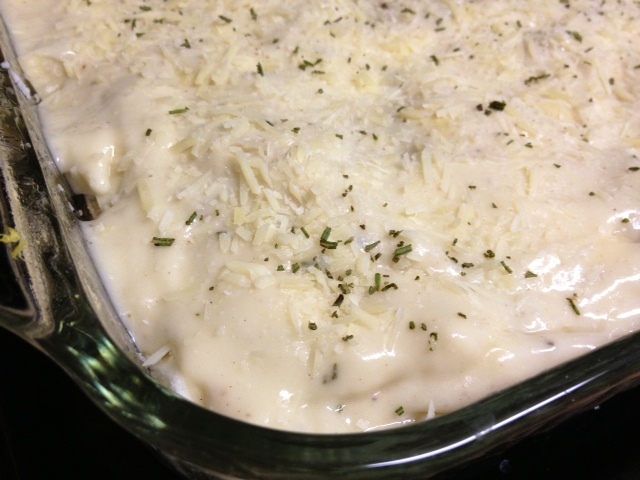 Pour 1/2 cup of the bechamel sauce in the bottom and spread it out. 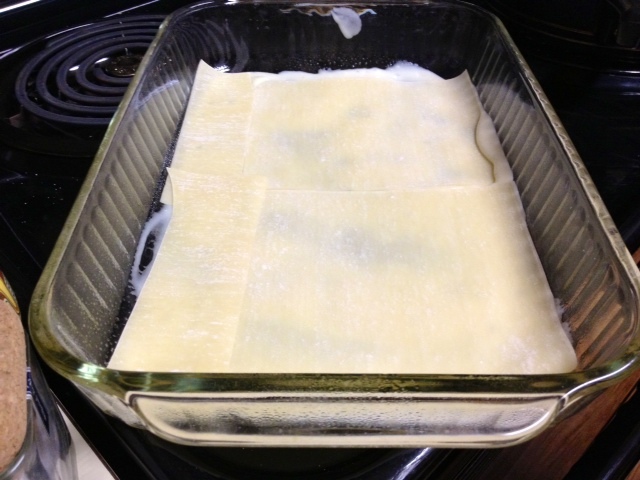 Lay down one layer of fresh pasta sheets or egg roll wrappers. 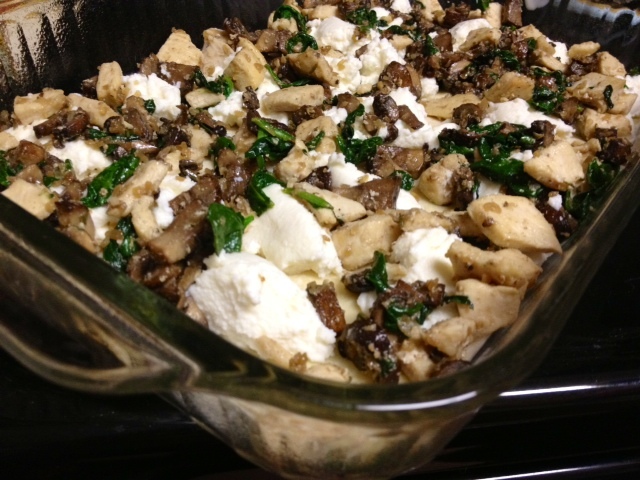 Place teaspoon-sized dollops of ricotta over the pasta/wrappers, using up about half the container. 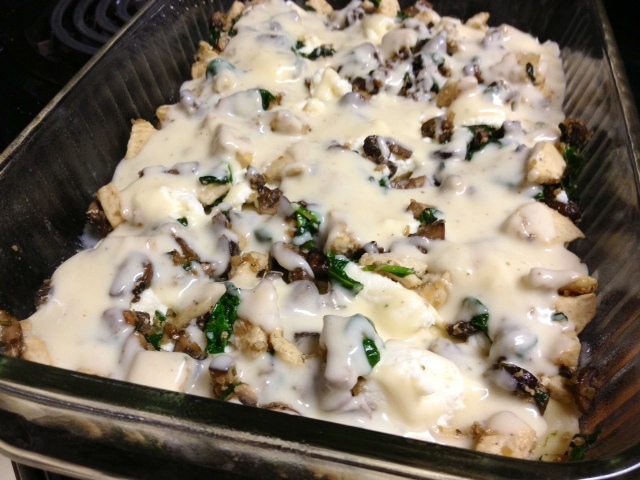 Spread out half of the chicken-mushroom filling, drizzle 1/2 cup of bechamel, sprinkle 1/4 cup of Parmesan, 4 ounces of the fresh mozzarella and half the lemon zest. Repeat this process, adding another layer of pasta/wrappers, lightly pressing them down. Add the dollops of ricotta, the remainder of the chicken-mushroom filling, 1/2 cup of bechamel, the remaining mozzarella, 1/4 cup of Parmesan, and the remaining lemon zest. If you have truffle oil, drizzle a little on top at this point. 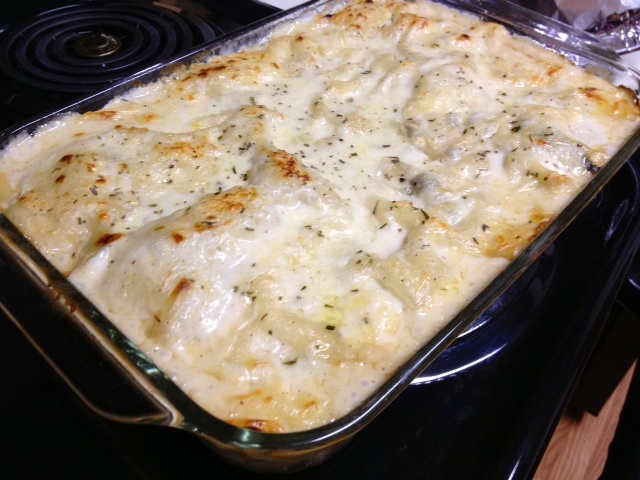 Top with the last layer of pasta/wrapper and pour the remainder of the bechamel over them, spreading evenly. Sprinkle with the final 1/4 cup of Parmesan and sprinkle with a little rosemary. Cover tightly with foil and bake at 400 F for about 40 minutes, or until hot and bubbly. Remove the foil and bake uncovered until the top is golden, about 10 more minutes. Let it rest for about 10 minutes before serving, so it sets up. Preheat oven to 400 F. Cut chicken into 1/2-inch, bite-size pieces. Season with two generous pinches of kosher salt and cracked pepper. 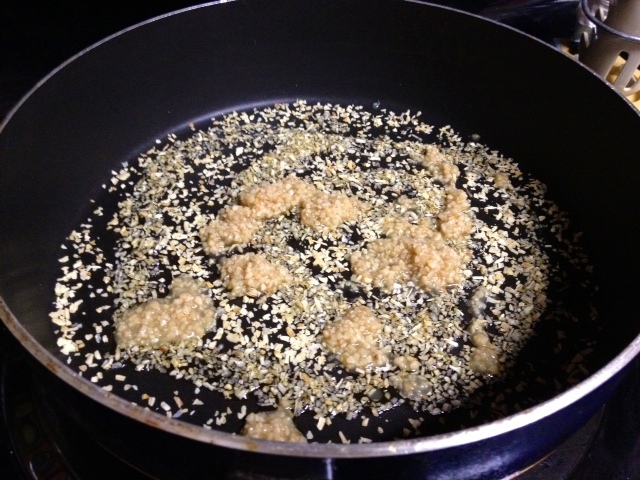 Saute in a skillet, on medium heat, with 1-2 tablespoons of oil until golden brown and cooked through. 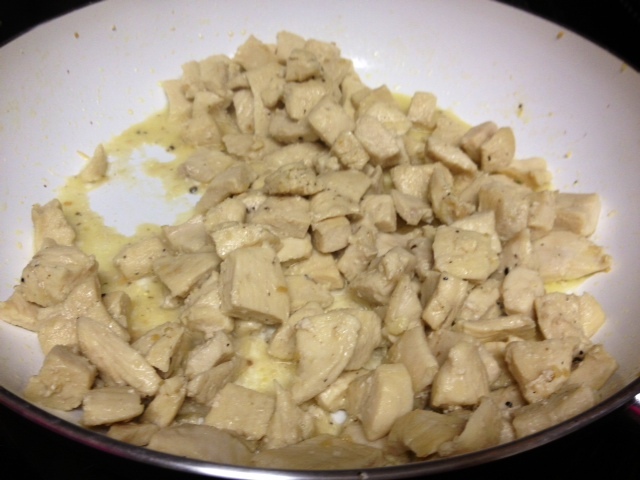 Place cooked chicken in a bowl and set aside. In the same pan, saute the diced onion until tender, on medium heat (about 6 on my stove), about 5 minutes (you may need to add a little more oil). Add the garlic and lower heat to medium (more like a 4-5 on my stove) and saute 2 minutes. Add the rosemary, mushrooms, 1/2 teaspoon of kosher salt and then lower the heat even further (I’d say have it at about a 3-4). Saute until the mushrooms release liquid and are tender, about 10 minutes. 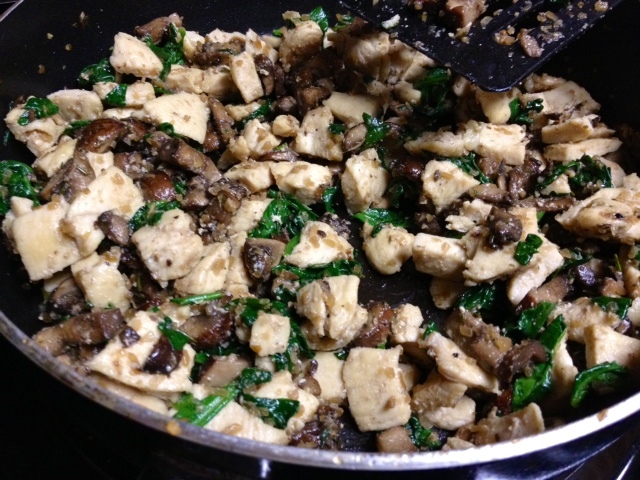 Finally, add the chopped spinach, stir until wilted, and add the chicken back in. Set this mixture aside. Next we make the bechamel. 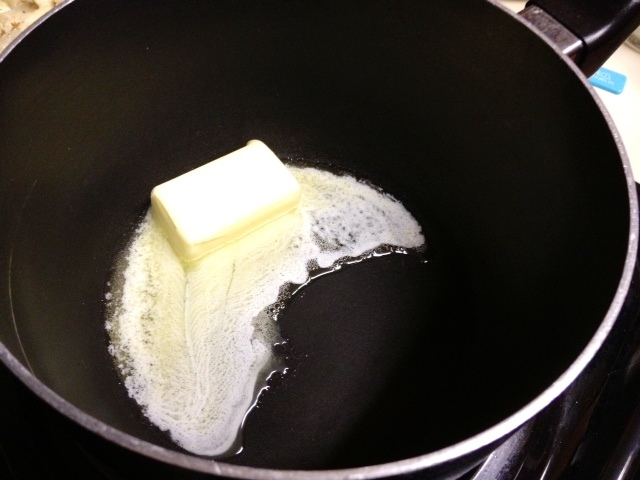 In a small saucepan, melt the butter on medium-low heat. Once it’s been melted and bubbly for a minute or so, add flour and stir for a few minutes on medium heat until the mixture is golden. Whisk in a cup of the hot milk at a time. 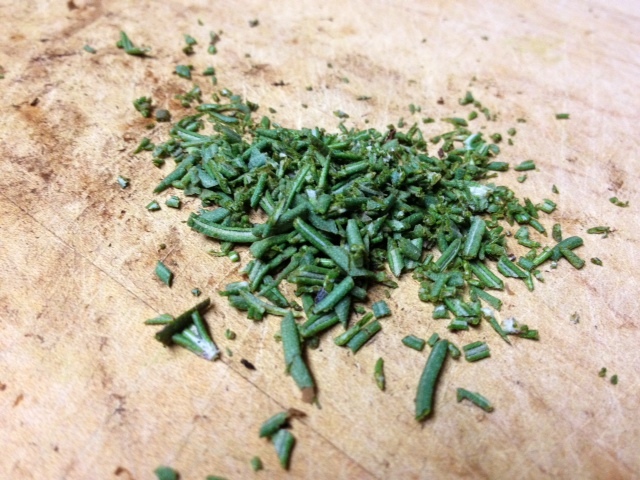 Add the rosemary and bring the mixture to a gentle boil–don’t leave unattended, and stir constantly. Add 4 ounces of the mozzarella and stir until melted and thickened. Finally, add salt, nutmeg and white pepper. Simmer for a few minutes, then set aside. Butter or grease a 9×13 pan. 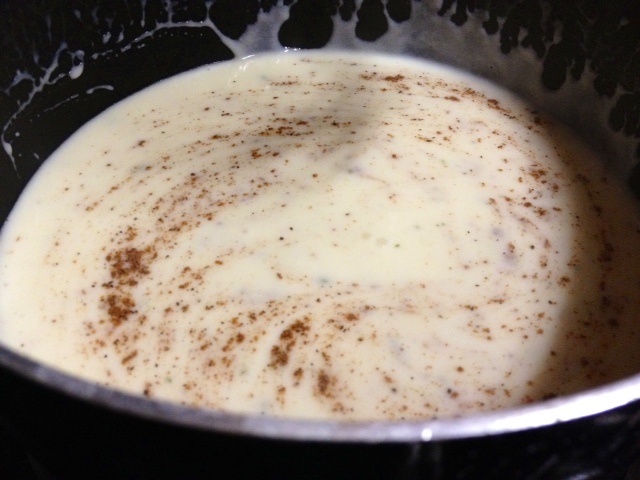 Pour 1/2 cup of the bechamel sauce in the bottom and spread it out. 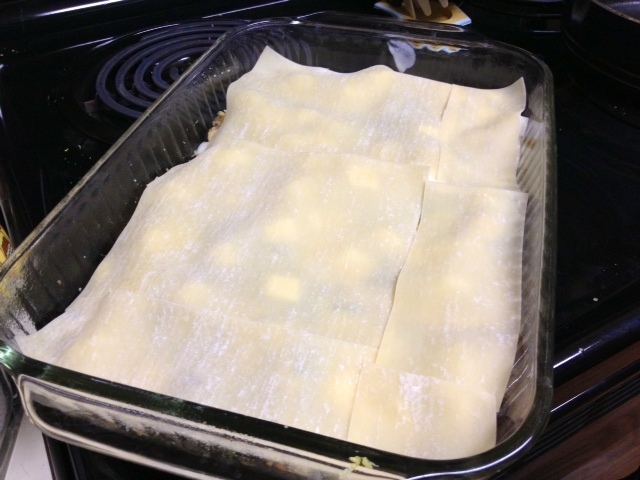 Lay down one layer of fresh pasta sheets or egg roll wrappers. 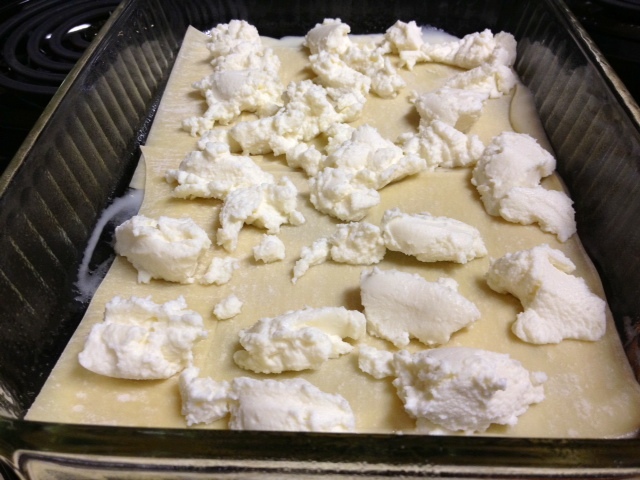 Place teaspoon-sized dollops of ricotta over the pasta/wrappers, using up about half the container. 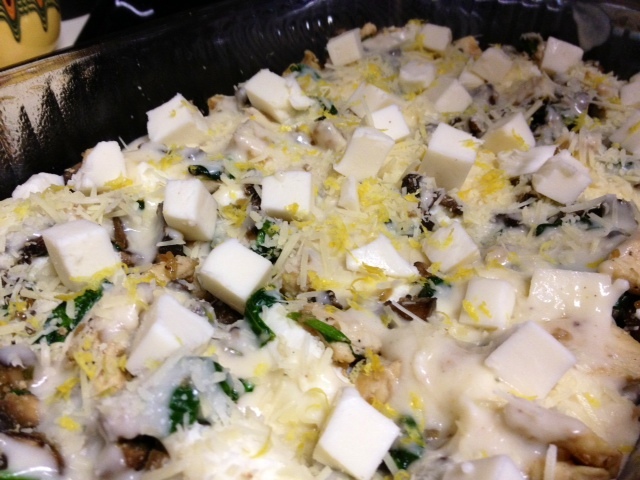 Spread out half of the chicken-mushroom filling, drizzle 1/2 cup of bechamel, sprinkle 1/4 cup of Parmesan, 4 ounces of the fresh mozzarella and half the lemon zest. Repeat, adding another single layer of pasta/wrappers, lightly pressing down. 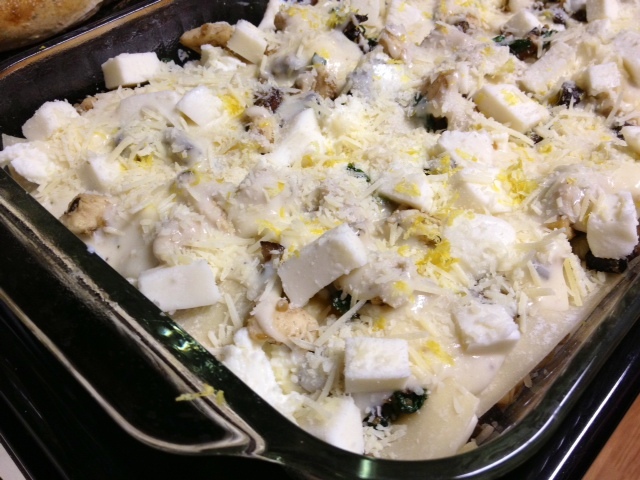 Add dollops of ricotta, the remainder of the chicken-mushroom filling, 1/2 cup of bechamel, the remaining mozzarella, 1/4 cup of Parmesan, and remaining lemon zest. If you have truffle oil, drizzle a little on top at this point. 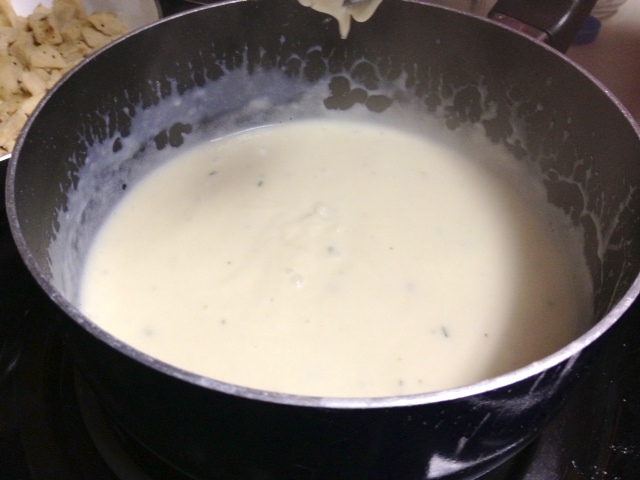 Top with the last layer of pasta/wrapper and pour the remainder of the bechamel, spreading evenly. Sprinkle with the final 1/4 cup of Parmesan and sprinkle with a little rosemary. Bake covered tightly with foil in a 400 F oven for 40 minutes, or until hot and bubbly. Remove foil and bake uncovered until top is golden, about 10 more minutes. Let rest 10-15 minutes before serving, so it sets up.